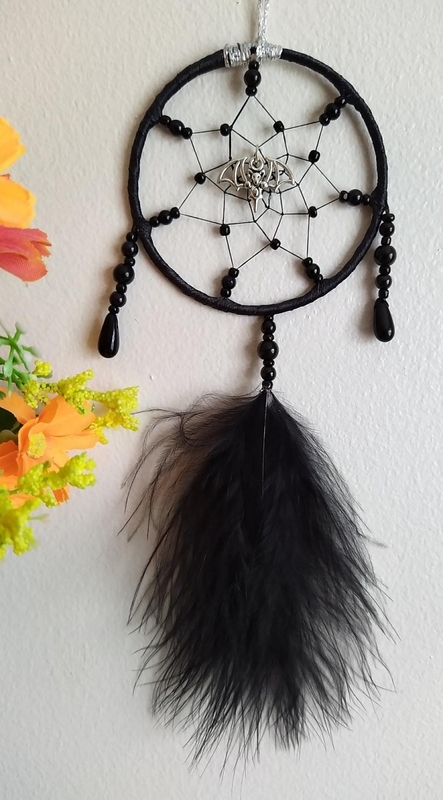 Gorgeous gothic mini dreamcatcher with black pearl effect and tiny seed beads in the webbing and three dangles, 2 with a black teardrop and the central dangle has a black feather. In the centre is a gorgeous silvertone Bat charm. Approximate size of hoop 2.3/4"